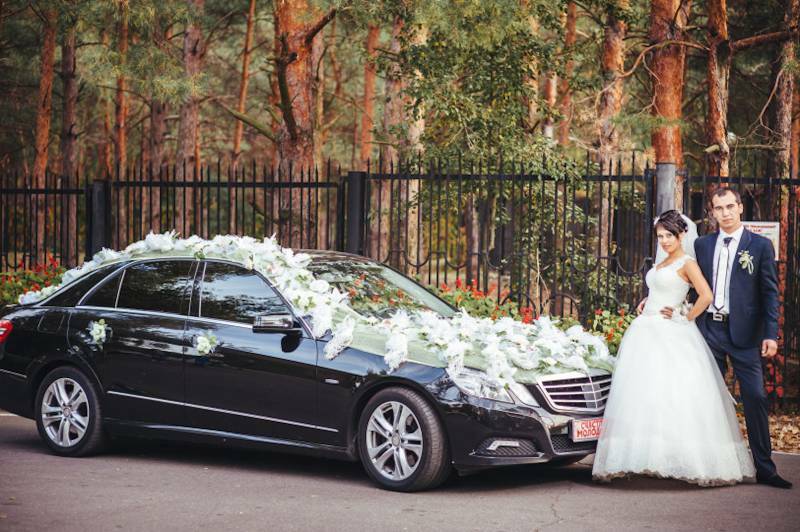 Wedding planning and finding the perfect wedding venue can be overwhelming. 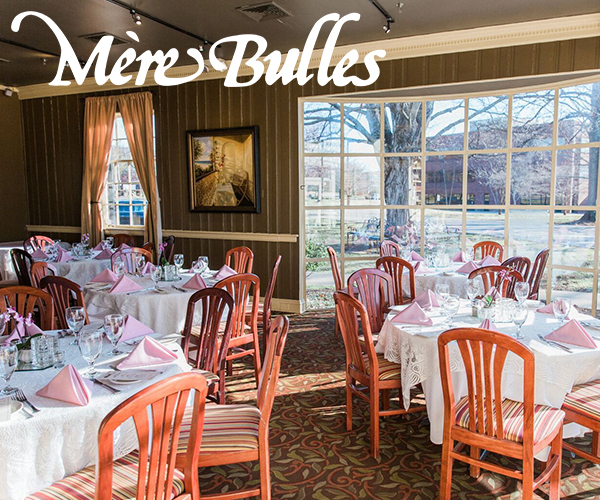 Wouldn't it be nice to sit back, relax, and enjoy the experience of finding your venue? Well now you can! 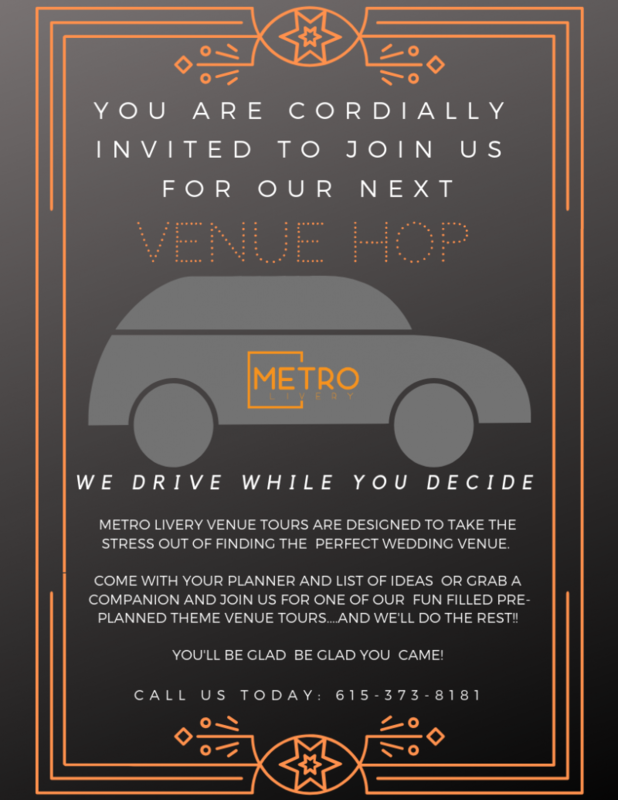 Nashville Transportation company, Metro Livery is hosting a venue hop, that will drive you to tour your wedding venues, allowing you to escape the stress and enjoy quality time with those joining you for this special part of the wedding planning process. Keep reading to find out everything you need to know as Melissa from Metro Livery is sharing all the details about this opportunity! We hear you are hosting a venue hop! Tell us about this new concept! 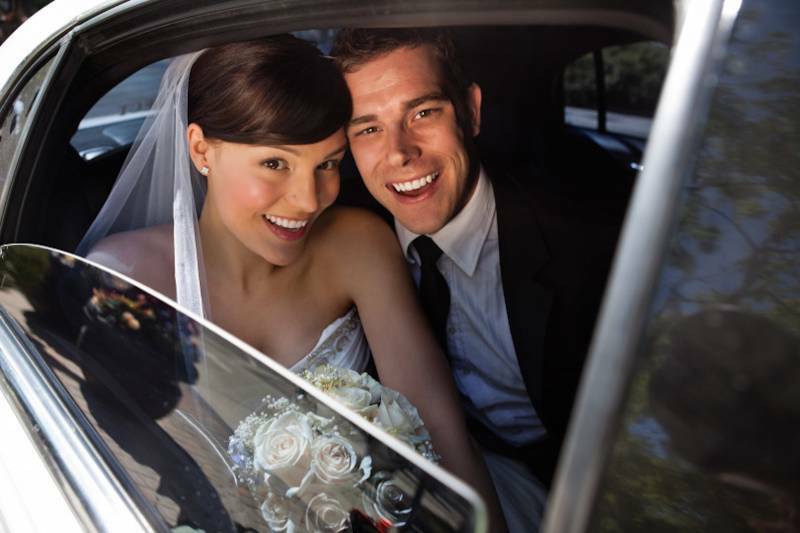 Melissa, from Metro Livery: Our goal is to take the stress out of finding the perfect venue. For the planner as well as the bride. With this concept, it can be a time to relax or an opportunity to spend some quiet, quality time ie: bride and mom and/or grandmother-and opportunity to reflect and relive memorable moments in the brides life (nostalgia), bride and groom- a quiet and "no-excuses" intimate get away from all the pressure of wedding planning, bride and bridesmaid(s)-a fun getaway with no plans, spontaneity abounds, etc. 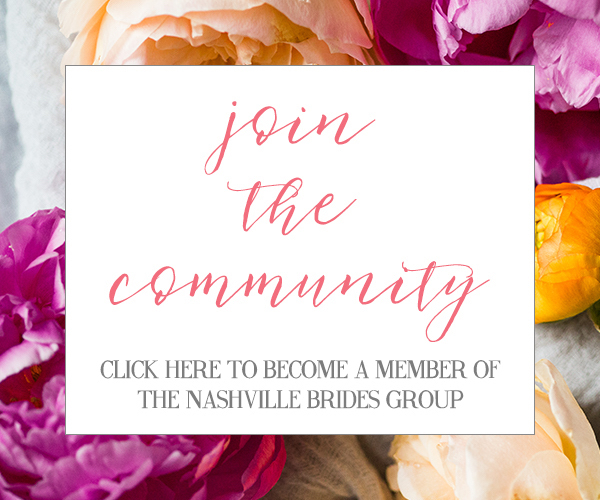 Melissa, from Metro Livery: We wanted to offer an opportunity of momentary escape from the overwhelm that is wedding planning and still allow productivity. We say "We'll drive while you decide!" This allows an opportunity for everyone to regroup, relax and enjoy the experience of finding the PERFECT venue, and still come away feeling as though they've accomplished a major feat in the overall process! Is there a limit to how many venues you can provide transportation for? Melissa from Metro Livery: No limitations. 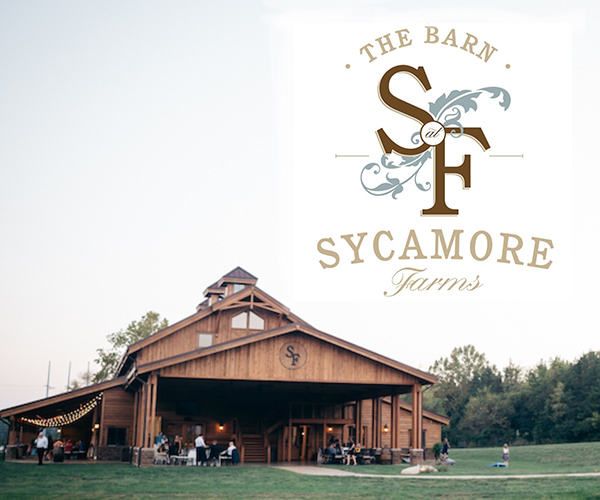 We are here to accommodate the bride and/or planner. We can show as many or as few as they desire. Preset or pre-scheduled tours will consist of 5 to 6 depending on locations. Is there a fee for the venue hop? Melissa from Metro Livery: Yes. Fee will vary. What type of vehicle will be used for the venue hop? 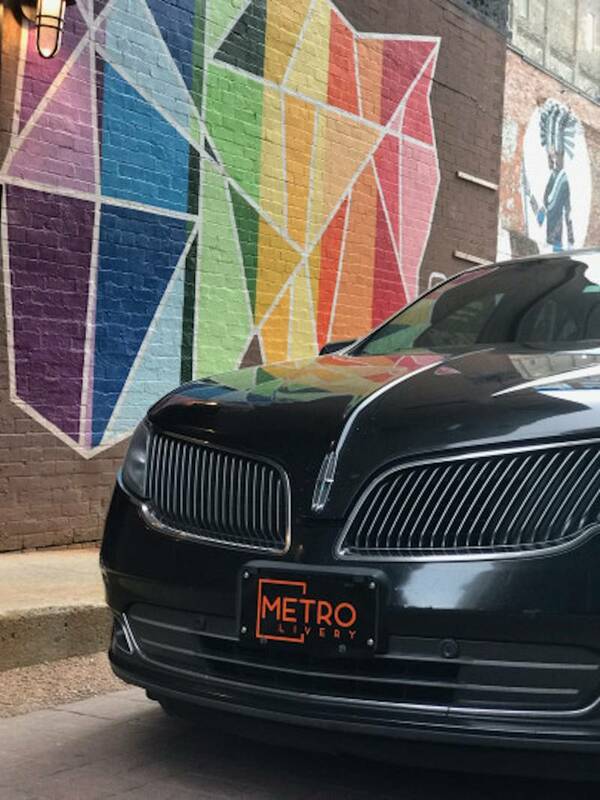 Melissa from Metro Livery: Vehicle options for the tours would consist of Transit, SUV or Sedan. All are luxurious and very comfortable with all of which are new vehicles so they are wi-fi accessible to keep everyone connected and always on task. Will the couple schedule the meetings or is Metro Livery in charge of scheduling the venue meetings? 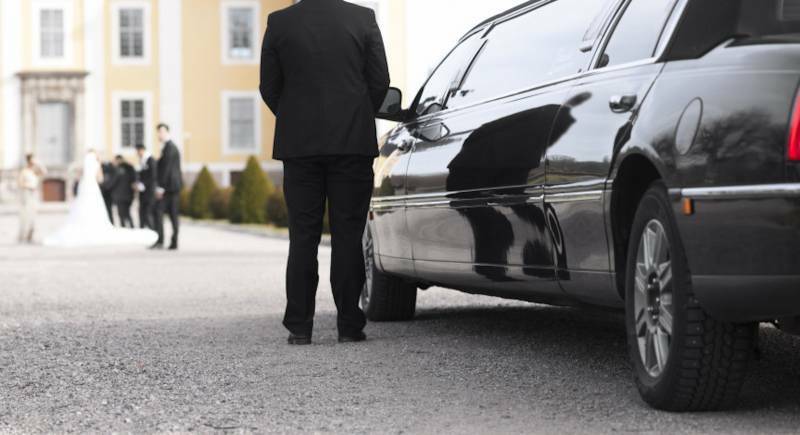 Melissa from Livery Transportation: We offer custom and pre-arranged venue tours. Is there anything else you'd like to share about the venue hop? 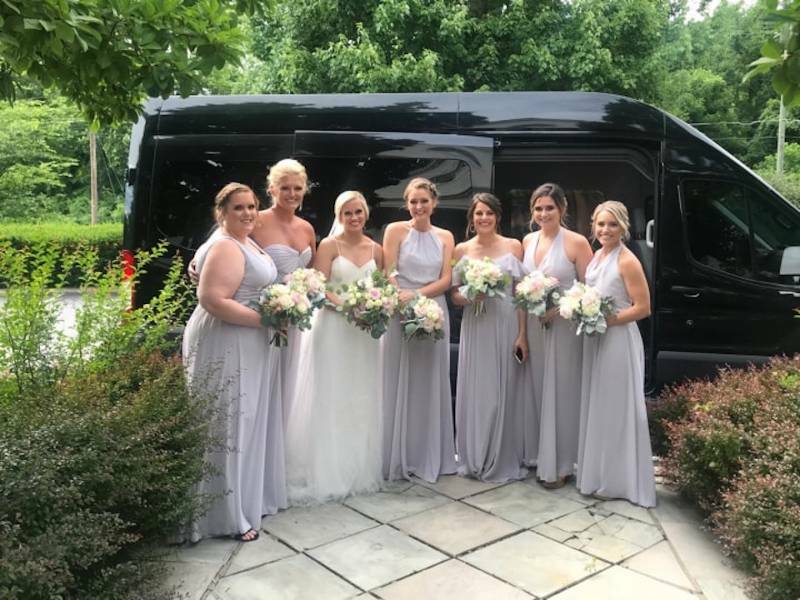 Melissa from Livery Transportation: We want to make our venue hop a regular part of the planning process for every bride and/or wedding planner. Thanks so much to Melissa from Nashville Transportation company, Metro Livery for sharing all this information with us! 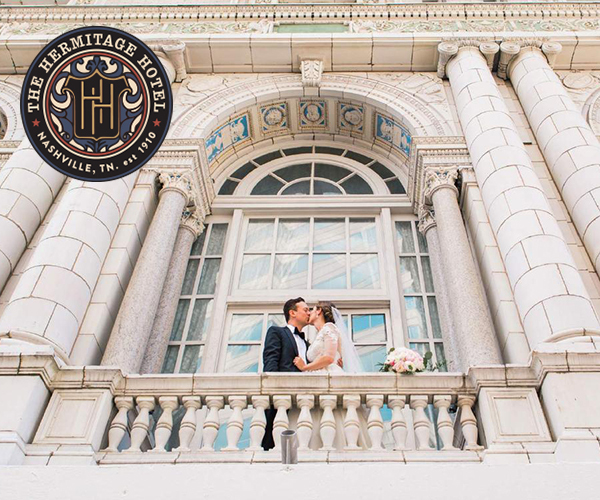 The venue hop is such a great opportunity for couples to have fun with this part of the wedding planning process, even if they are feeling overwhelmed. It's easier to focus on making decisions when your mind is at ease. So get ready to sit back and enjoy the ride!